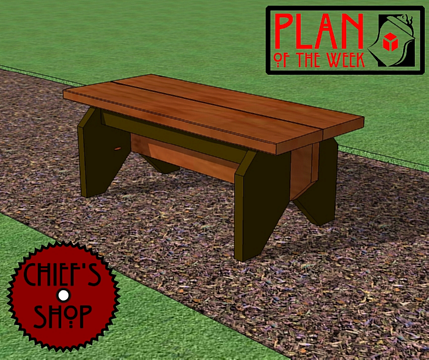 The Chief’s Shop Contemplation Bench is designed for a quiet garden spot – a place where you can sit and ponder what’s troubling you. It of course could be placed on a patio, deck, or inside to be used as an accent bench. For outside use be sure to make it from cedar, redwood, or a treated lumber. You’ll need a miter saw and a Kreg Jig to complete this project.